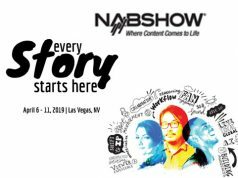 Cine lenses are growing in use because they’re aimed at one of the most rapidly expanding consumer niches in the imaging field: video shooters who want to take their filmmaking to a higher level. 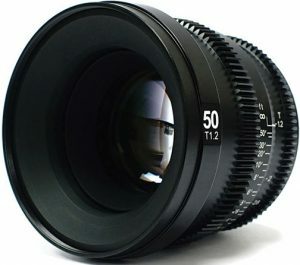 Savvy manufacturers have responded to the cine lens boom by releasing a barrage of sizzling lenses, 10 of which are covered here. 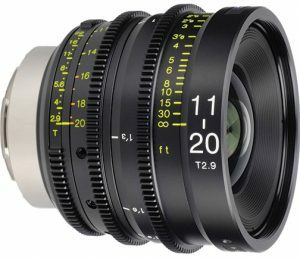 No matter what kind of camera your customers are using for video, true cine lenses provide a great way to achieve pro-caliber results, because true cine lenses offer much greater control and precision, provide a more seamless shooting experience and ultimately deliver superior overall video performance. Here’s why. 1. Cine lenses have smooth operating (de-clicked) mechanical aperture rings, extremely smooth zoom controls and ultrasmooth, long-throw manual focusing controls. Moreover, these controls almost always have standardized external gears that mate with integral or modular servo-control mechanisms for even smoother, more predictable operation in the field. 2. Cine lenses are typically parfocal. They maintain focus at the set value as users zoom or change apertures, instead of “breathing” (shifting focus when other settings are altered), which can happen with lenses designed for general-purpose or still-picture shooting. 3. Cine lenses feature a very high build quality. Most boast rugged, weatherproof construction. In addition, internal zoom and focus controls maintain constant length and balance at all settings. 4. 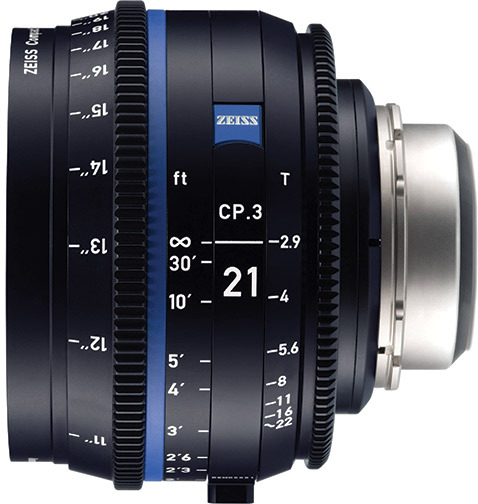 Cine lenses are usually precision calibrated in T stops, ensuring uniform light transmission. Their calibrated scales are totally reliable, and their filter threads and balance are typically uniform over the lens line. Moreover, they don’t have parts that protrude during focusing or zooming. 5. Cine lenses also generally have matching imaging characteristics, such as color balance and contrast, within a given brand. They are easy to service and typically deliver optical performance of the highest caliber. 6. 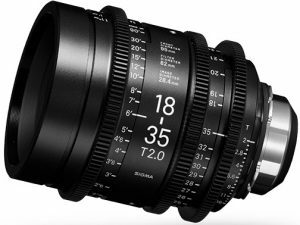 Cine lens manufacturers strive to keep the most common focal lengths at roughly the same weight, and with similarly configured controls, to assure uniform balance and handling characteristics. 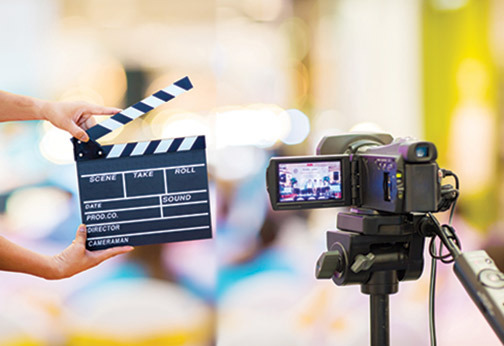 The bottom line: While cine lenses often represent a considerable investment, if customers are serious about capturing pro-caliber video, or if they’re moving up from shooting with a DSLR rig to a full-fledged pro video rig, make sure they take a close look at the lenses listed here. 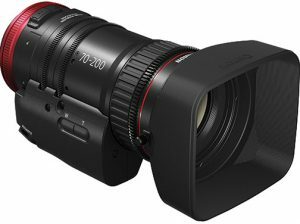 This high-performance Canon Compact-Servo cine zoom provides long telephoto zoom coverage of the popular 70–200mm range, on full-frame and Super 35 format cine cameras at a T4.4 constant maximum aperture. Only 7.2 inches in length, it also has a click-less 9-blade iris that’s controllable via an optional servo-grip controller. 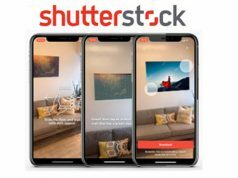 Moreover, its outstanding image quality, image stabilization and smooth bokeh make it an excellent choice for 4K and HDR capture. In addition, its parfocal design maintains focus while zooming, and it provides REC start/stop, lens data transfer and autofocus with compatible Canon EOS cine cameras. Optional Canon EF 1.4x III and 2x extenders enhance its commendable versatility. In Canon EF mount, $5,000. Just reaching the market as we went to press, this exceptional high-speed wide-angle lens is part of Sigma’s FF High Speed Prime line of T1.5 lenses ranging from 20mm to 135mm. Each high-performance prime lens covers full-frame sensors and is suitable for capturing ultrahigh-res 6K to 8K video in low light. In addition, they provide apertures from T1.5 to T16. 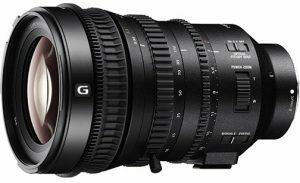 This new lens has a standard 0.8-pitch gear on its smooth-action, long-throw 180º focusing ring and a click-less iris control ring. Its 9-blade aperture enhances its inherently artistic bokeh. Furthermore, the 28mm T1.5 FF features dust- and water-resistant construction; a metal body; luminous paint for enhanced visibility; and durable laser-engraved scales. It delivers superlative image quality with outstanding bokeh at all settings. In Canon EF, Sony E and PL mounts, $3,499. This impressive Fujifilm X-mount lens with electrical contacts was released in conjunction with the advanced Fujifilm X-A5 mirrorless camera optimized for 4K video. It covers the Super 35 format in the 16:9 aspect ratio and provides a constant T2.9 aperture over its entire zoom range. The lens also incorporates three rings with standard 0.8 Mod gears for motorized control. A click-less 9-blade diaphragm offers smooth, quiet aperture settings and produces artistic bokeh. Other features include: a shim-less flange focal distance adjustment system; long-throw 200º focus rotation; macro mode; and a large 28.5mm diameter image circle. It’s also color matched to Fujinon HK/ZK/XK lenses and weighs in at a portable 2.16 pounds. 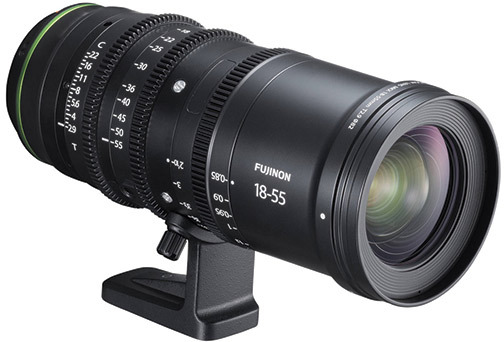 In X mount, $3,999; in Sony E mount (as the Fujinon MK18–55mm T2.9), $3,799. Tokina’s outstanding low-distortion 11–20mm superwide zoom covers Super 35mm sensors. It features an interchangeable Canon EF mount that’s swappable for LPL, PL, Sony E, Micro Four Thirds and Nikon F mounts for ultimate user flexibility. The lens is parfocal to maintain focus while zooming and features a constant T2.9 maximum aperture. In addition, it provides cine standard 0.8 Mod FIZ lens gears for all functions. And its 9-blade aperture ring helps to enhance its bokeh. Moreover, a 12-inch minimum focus distance enables compelling close-ups. Other features include: 300º cinema focus rotation; an all metal housing; and an 86mm filter thread. $2,399. Sony‘s lightweight cine zoom has separate, smooth-action control rings for focus, zoom and aperture. An advanced Super 35mm/APS-C format power zoom, it incorporates Optical SteadyShot image stabilization (OSS) to minimize the effects of camera shake. It also employs six aspherical elements and three ED glass elements and features a 7-blade circular aperture design. With a 6.1x high zoom ratio, even with inner focus, it maintains a constant f/4 maximum aperture throughout its zoom range for beautiful depth-of-field effects. It also provides manual and servo zoom options and is parfocal, maintaining precise focus over its entire zoom range. Beautifully finished in satin black, it also features apertures of f/4–22 and comes with a removable tripod foot. Sony APS-C/Super 35 E mount, $3,499. 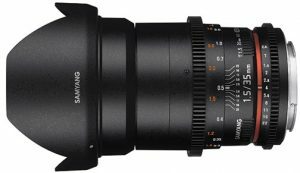 This newly released, compact superspeed SLR Magic 50mm MicroPrime Cine lens delivers imaging performance suitable for 4K capture at a relatively modest cost. It covers the Super 35 format and provides standard lens gears that interface with a variety of accessories. It also features an internal focus design to minimize breathing and prevent front rotation while focusing. A 13-blade iris provides a pleasing bokeh effect with natural-looking, out-of-focus highlights. The odd number of iris blades also reduces the appearance of flare off the blades. Moreover, the lens has a wide 82mm filter thread. In Sony E and Fujifilm X mounts, $599. This superb, newly upgraded, fast compact Zeiss prime lens covers the full-frame format. 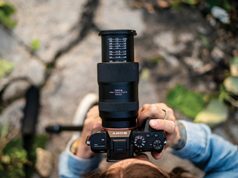 Offering a T2.9 to T22 aperture range, it has standard geared iris and focus controls as well as a click-less aperture ring with a 14-blade diaphragm for artistic bokeh. It also adds improved ergonomics and new lens coatings for increased light transmission as well as enhanced contrast. Its compact design is optimized for even weight distribution and improved balance. Moreover, the lens is said to deliver “classic Zeiss image rendering” with smooth natural transitions. It comes with a Canon EF mount installed but the mount can be swapped with another type, $4,390. Available in the Sony E mount, this fast high-value, manual focus lens from Samyang covers the full-frame format. It provides standard gearing for focus and iris and also has convenient dual-side focus and T-stop scales. A good choice for low-light applications, it employs glass aspheric elements and two high refractive index lenses to enhance imaging performance. In addition, its de-clicked aperture ring produces smooth iris pulls, and it focuses down to 12 inches for dramatic close-ups. The cine lens also boasts Ultra Multi-Coating (UMC) technology to reduce flare and ghosting. Other features include a floating lens system and an 8-blade aperture. It comes with a removable petal-type lens hood for shooting in high-flare environments. $419. 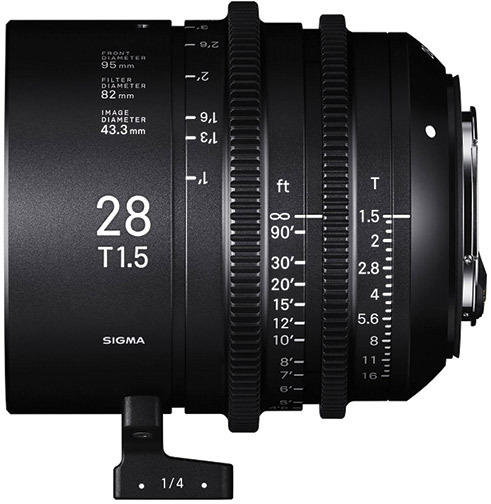 In Sigma’s Cine High-Speed Zoom line, this lens provides a wide 28.4mm image circle that easily accommodates Super 35mm-format sensors. Also, a fast T2 maximum aperture allows for low-light shooting performance. The compact zoom delivers outstanding image quality and covers a popular focal-length range. It provides ultrasmooth, long-throw, 180º focusing for optimum control. Moreover, its click-free, 60º-turn, 9-blade iris enhances bokeh, yielding smooth, natural out-of-focus image areas. In addition, its internal focus design maintains a constant length for consistent balance. Moreover, its zoom ring rotates in a smooth 180º turn for precise control, and all three lens-control rings incorporate standard 0.8 Mod gears compatible with optional servo systems. A removable lens support foot is included. In Canon EF, Sony E and PL mounts, $3,999. Shipping in late April, this fascinating cine lens from Venus Optics is designed specifically for close-up shooting. It is distinguished by a long, slender, 1.3-foot barrel. Moreover, it provides an impressive 2:1 (twice life-size) maximum magnification at its 1.5-foot minimum focusing distance with a very close 0.8 inch working distance. However, its long “nose” places the photographer at a comfortable distance from the subject. Thanks to its wide focal length, it provides more depth of field and less subject isolation than a traditional telephoto macro lens. And its tubular barrel yields a distinctive bug-eye perspective. It includes two ED elements to minimize color aberrations and fringing, and one extra refractive element to control spherical aberration. It also has standard gear focus and aperture rings for cine purposes. In Arri PL, Canon EF and Nikon F mounts, $1,499–$1,699.